Hi lads - can anyone give a bit of info on this wagon and what was it originally used for ? Sorry I cant get a better picture of it. Smuggling migrants from Mullingar to Port Laoise. I did see a discussion about it somewhere a few weeks ago, but I can't remember the outcome, hopefully somebody else was paying more attention. I think this was one of the prototype high cacpacity beet wagons, cannot find it in books to hand so it might have got a mention in a video or magazine , pretty certain it was a one off but no idea of number. IIRC also built on a container flat. Ah Jaysus Jim - the journey was bad enough without rerouting them to Dublin or Athlone back then before getting here!!! 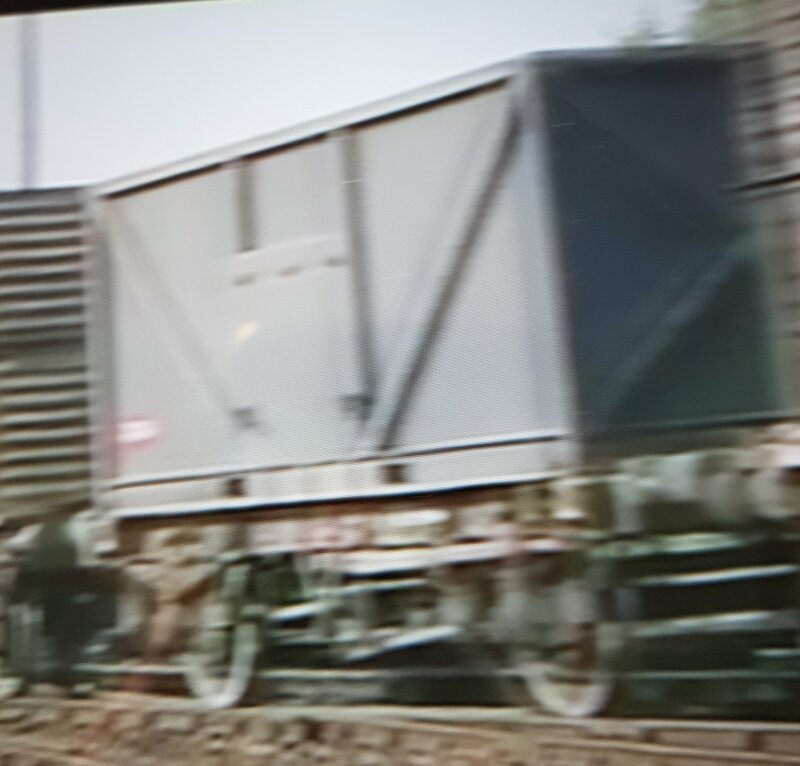 I have seen it in 2 or 3 videos of the beet trains going back to 2004/05 but there was only ever one in the rake, so more than likely it was the same wagon in all footage. As Robert has suggested above a one off. That is my recollection of what I heard, but I did need to hear confirmation from someone else. I think I saw it in a video discussion. It was an experimental beet container, and only the one was made. It only got about 2 or 3 seasons before beet finished. I've a vague notion it was a dark bluish or grey colour at first, but (filthy!) brown at the end. Dark Blue number 27504 (Might be a digit in front of that!). It features in the extra bit added on to the latest version of the Markle video "Irish Rail Archive Volume 6 SUGAR BEET UPDATED" This covers 1984 to 2005 with plenty of A Class coverage and also views inside the Beet unloader at Mallow and on top of the loading gantry at Wellington Bridge. Thanks, knew an expert would comeforth ! and now looks like another DVD to buy ! It features in the extra bit added on to the latest version of the Markle video "Irish Rail Archive Volume 6 SUGAR BEET UPDATED"